The Market Predictions Are Streaming in. But If Your Hedged Does It Matter? During yesterday’s CNBC show “Fast Money”, the traders discussed a lot of inside baseball market stuff. Another way of saying they got into some granular things around the shape of the yield curve and discounting of future earnings cash flows. If you’re into markets like we are, you would enjoy it. Click here to view. Yet for many of your clients these market evaluations or predictions can cause some trepidation. The reality is that we really don’t know when a bear market starts until it actually does. Tony Dwyer in the clip mentioned how a flat yield curve doesn’t necessarily mean a recession is imminent. Going back to the mid 2000’s, we saw the curve invert only to see the market pick up some nice gains over the next year and a half. To add to your October fright, we though it appropriate to share some articles about Black Monday on its 31-year anniversary. What was Black Monday and What Has Changed Since Then? 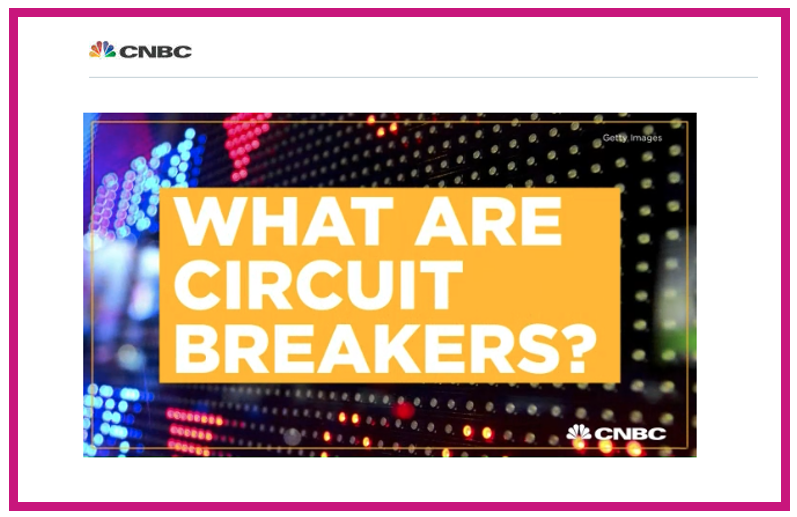 This article points out that we now have circuit breakers in the market that would halt trading as a cooling off period should there be a drop by certain percentages. As CNBC points out, at 7% down, 13% down, and 20% down markets are halted for a period. All of this discussion is interesting to us market observers, but can erode investors confidence and potentially divert them from being invested in markets. This is a great reminder of how being invested in the market with downside hedges can help to lesson anxiety about stock volatility. If markets were to suffer some sort of 1987 downturn, a ZEGA strategy like Buy and Hedge or ZBIG would serve to provide protection.